WOW! 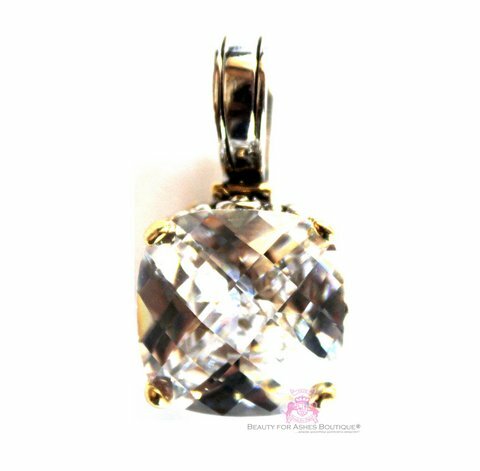 The bale on this pendant opens easily and shuts just as easy to fit on your favorite necklace. Super Brilliant, Top Quality Cz. 15mm size pendant stone, with side designs in rhodium white gold plating in 3 ml thickness, topped with yellow gold plating in the prongs and portions of the side design. Extra Thick plating for long lasting wear.